Having captured more than a third of the public cloud market, AWS unequivocally leads the way in providing cloud services to enterprise companies. AWS is well-known for delivering significant cost savings, high availability and rapid scalability to its users. AWS also provides a suite of powerful management tools that admin should know and take advantage of in order to maximize the benefits of AWS. 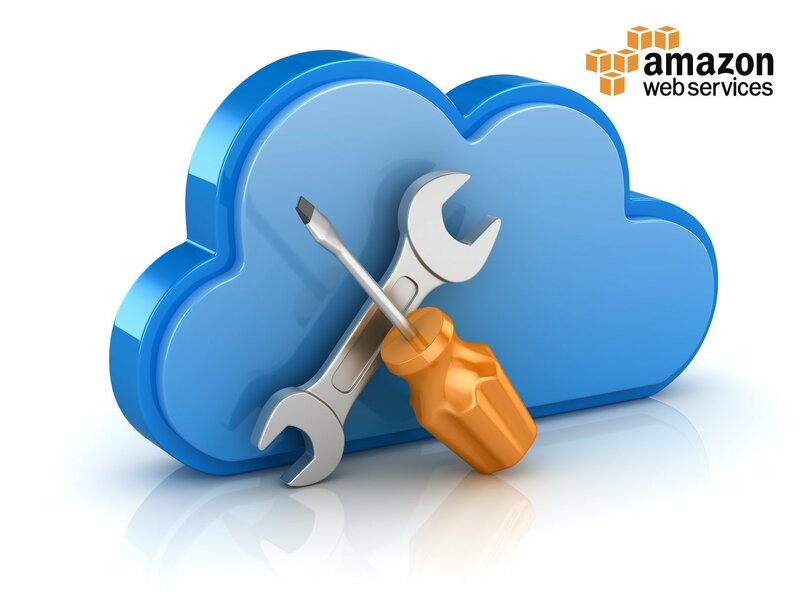 Below, we’ll take a look at four of the most useful management tools on AWS. Auto Scaling is a great management tool for ensuring that your AWS resources are deployed according to your priorities. Using a simple but powerful interface, you can set Auto Scaling to optimize for either performance or cost, or to strike the best balance between the two. Auto Scaling will then monitor trillions of metrics and events across multiple compute resources on your behalf. When demand spikes or lulls, Auto Scaling reacts by increasing or reducing resources as necessary. The tool’s utility has recently been expanded to include predictive scaling. Machine learning technology picks up on activity patterns and uses them to auto scale your resources before the extra demand hits. This adds up to smoother, more consistent performance of your applications and services. As the name suggests, Amazon CloudWatch keeps an eye on all of your cloud resources, providing company-wide event logs and other data. This provides a unified view of application and service performance – not just within the AWS cloud but also within your on-premises servers. But CloudWatch is not just a passive monitor. You can set alarms to alert you of system changes or performance issues. CloudWatch can also trigger automated actions. If you are a developer, SRE, IT manager or system operator, Amazon CloudWatch can help keep you on top of your AWS resources and keep your services and applications running smoothly and cost-effectively. Next, we have Elastic Load Balancing, commonly referred to as ELB. This tool works across resources, Availability Zones and even regions, shaping network traffic to optimize the performance and availability of your applications and services (in fact, the SLA for clients using ELB is 99.99% availability). The Application Load Balancer is suited to modern microservice or container-based applications and operates on the application layer (layer 7) of the stack. The Network Load Balancer delivers superior performance for low-latency applications and operates at the transport layer (layer 4). For applications built in AWS, the Classic Load Balancer enables traffic management across multiple instances. Finally, we come to AWS Trusted Advisor. Working across five domains (cost, performance, security, fault tolerance and service level), this real-time management tool gives you an ‘at a glance’ overview of application and service performance. Clear alert symbols will ensure that you know where things are running nicely, where investigation is needed and where immediate action is required to meet AWS best practice standards. Trusted Advisor is accessible via the AWS Management Console, and access to its insights can be controlled via AWS IAM. Reports can also be accessed programmatically via an API. One of the best things about these AWS management tools is that they integrate really tightly with one another. For example, ELB can recognize when capacity is causing performance issues and can trigger Auto Scaling to increase resources. Additionally, AWS Trusted Advisor can instruct Amazon CloudWatch to carry out various automated actions. All of the fancy management tools provided by AWS are helpful when it comes to your deployment needs, but they don’t tell the whole story. By leveraging the expert team and resources at Shamrock’s disposal, you’re effectively guaranteeing yourself maximum performance and the most secure configuration possible within AWS. Ben Ferguson is the Senior Network Architect and Vice President of Shamrock Consulting Group, the leader in technical procurement for telecommunications, data communications, data center and cloud services. Since his departure from Biochemical research in 2004, he has built core competencies around enterprise wide area network architecture, high density data center deployments, public and private cloud deployments, and Voice over IP telephony. Ben has designed hundreds of wide area networks for some of the largest companies in the world. When he takes the occasional break from designing networks, he enjoys surfing, golf, working out, trying new restaurants and spending time with his wife Linsey and his dog, Hamilton. 1. What resources will all applications require for optimal performance? 2. What is the value of your data assets? 3. How are you currently protecting and securing each of your data assets? 4. Which data assets will need to be accessed by which applications? 5. Who are the business users and how are they grouped together? 7. Which of your user groups require access to which applications? 8. How many of your users will be accessing each application from a dedicated desktop computer? 9. How many of your users will be accessing each application from an internal mobile device? How about from an external mobile device? 10. How many of your users will be accessing each application from a shared and publicly-accessible location? 11. Which networks are currently used to connect user devices to applications? Be sure to include both wired and wireless networks. 12. Which public wide area networks (e.g. 4G) are currently used to connect remote devices to applications? 13. Are mobile device users fully aware of how to secure their devices when accessing applications in the cloud? 14. Which applications are you planning to bring with you into the cloud and which will stay in-house? 15. Of the applications you plan to move into the cloud, which will require modification first? 16. Where will your data assets be stored in the cloud? 17. What storage capacity will be provisioned to store each of your data assets? 18. Onto which specific cloud resource will each application be mapped? 19. Have you done any initial work in matching various cloud service providers? Have you found the most cost-effective solution which provides the performance and functionality you will need? 20. How will your sensitive data be protected and secured both during transit and while in storage?